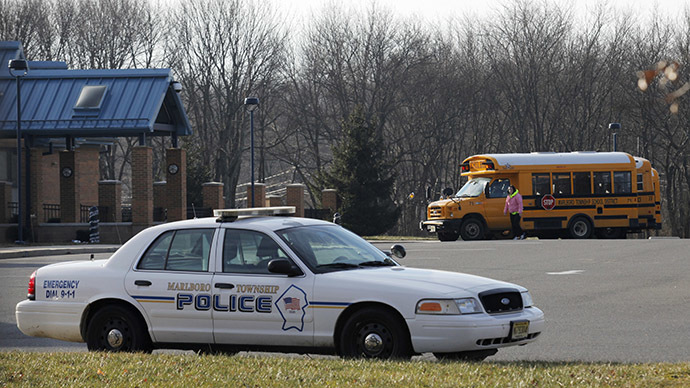 As police interaction with the community continues to be a serious topic for discussion in the United States, Democratic lawmakers in New Jersey are proposing a new law that would require schools to teach students how to interact with law enforcement. Officially introduced last week, the new bill would mandate New Jersey school districts to create their own curriculum for the classes, which would focus on the “role and responsibilities” of police officers, as well as “an individual's responsibilities to comply with a directive from a law enforcement official,”NJ.com reported. Supporters of the bill, such as state Democratic co-sponsors Assemblyman Ralph Caputo (Essex) and Assemblywoman Grace Spencer (Essex), say classes would emphasize the safety of both officers and civilians, adding that they are not meant to portray one side in a more favorable light than the other. "Kids have to learn how to behave when they're being investigated or talked to, because they could put themselves in jeopardy," Caputo said to NJ.com. "It's also a good effort to protect the police. Kids have to recognize their authority when they're being questioned and how to conduct themselves." The bill’s introduction comes as more Americans express concern over the relationship between law enforcement and local communities, particularly those which are composed primarily of minorities. The officer-involved killings of unarmed black men like New York’s Eric Garner and Ferguson’s Michael Brown have also raised tensions. Opponents of the bill have yet to speak out on the matter, though the New Jersey chapter of the American Civil Liberties Union (ACLU) noted that in addition to informing individuals of the proper way to interact with police, the classes also need to teach students how to protect their own rights. "The bill calls for education on young peoples' roles and responsibilities, but it's missing the third R: rights. The classroom is the appropriate place for a know-your-rights education," Ari Rosmarin of the ACLU said to NJ.com. "Recent events make a strong case for New Jersey's young people being made aware of their rights and how to protect them when interacting with the police."